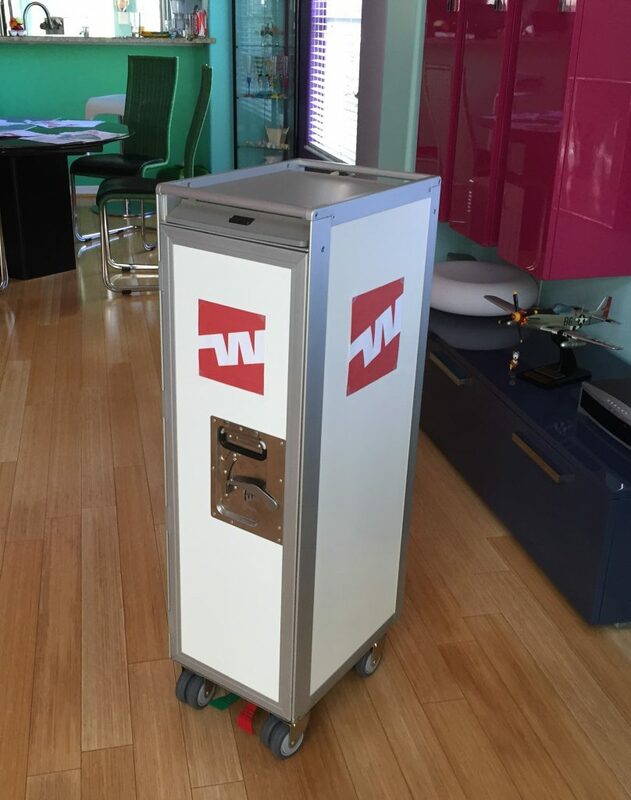 A SkyCart™ makes an excellent gift for professionals in the airline industry. That’s obvious. 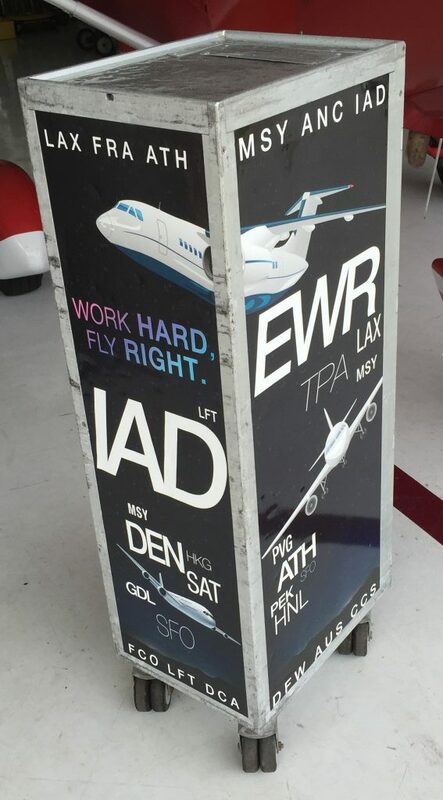 But very often spouses or friends come up with great ideas to customize an airline trolley in such a way that it reflects the career or important milestones in the professional life of a person. 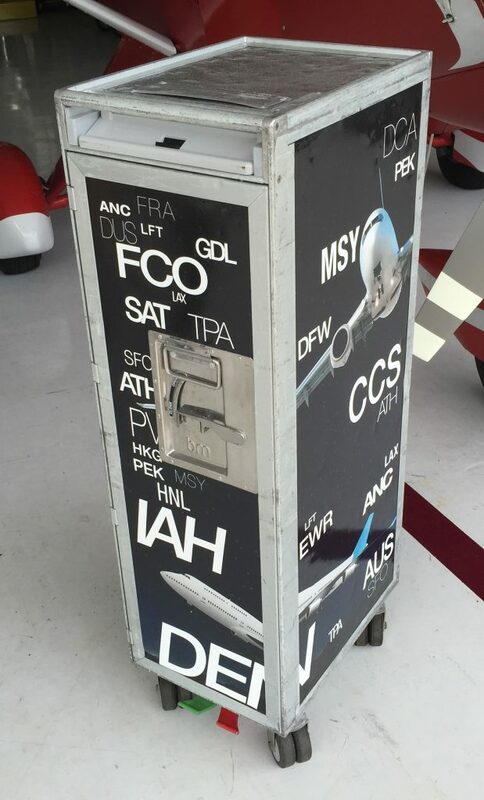 This galley cart is an example where a airline pilot bought one for himself. He started, decades ago, at Western Airlines – an airline that operated from 1926 until 1987 when it merged with Delta Airlines. 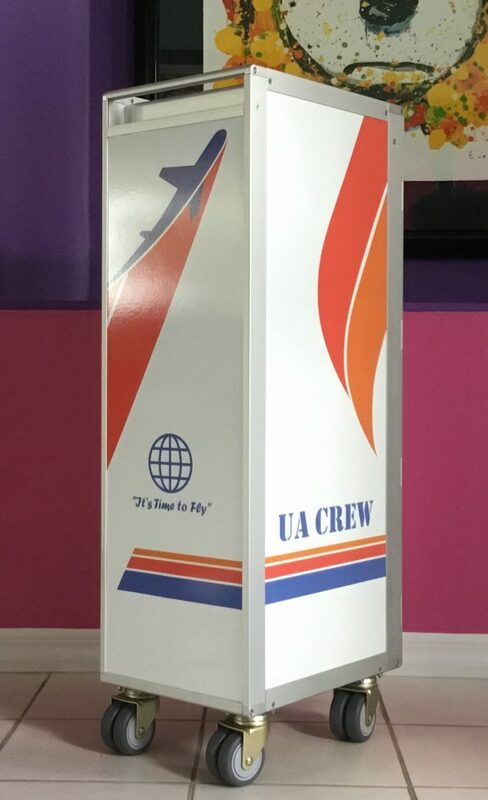 He managed to find some original Western Airline stickers and decorated his SkyCart™ to proudly display the starting point of a successful airline career. The next one is a very interesting example. A husband wanted a retirement gift for his wife. She was retiring from the airlines. He insisted that the airline galley cart had to be used and show the dents and scratches of typical for the life on board airliners. We found one for him. And he wanted it decorated with the airline types his wife had flown on and the airport codes of those airports which she had flown regularly or was based on. What a fantastic gift! Another retirement gift for a flight attendant. It’s a brand new SkyCart™ – and her husband designed the special decoration. It is close enough to show which airline she was working for, but not too close that we could not do it because of the danger of infringing copyright. It was meant to be a surprise. We would have loved to be there when she unwrapped it.